Of all the accessories I own, the one I get the most compliments on isn’t a bag or a pair of shoes—actually, it’s my glasses. Sure, this probably has something to do with the fact that I wear them just about every day, and, well, they’re on my face, but I also think some well-chosen frames can change up your whole look with relatively little effort. 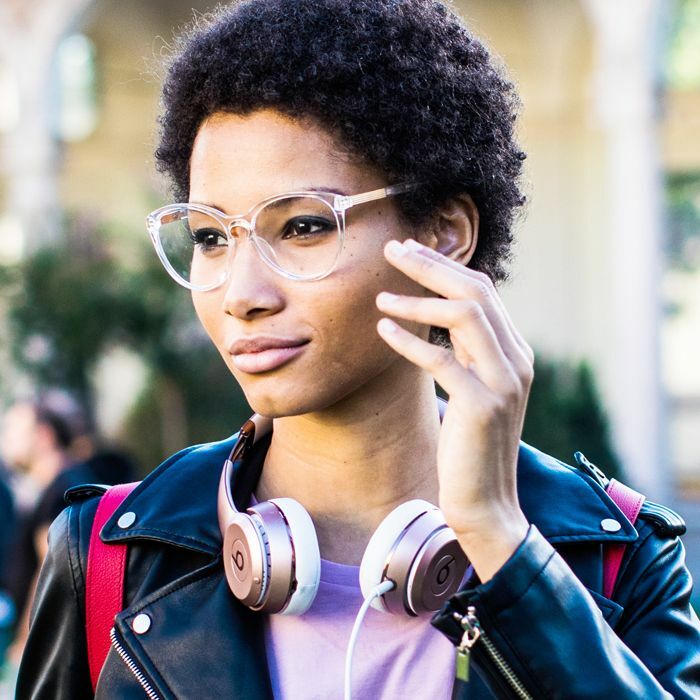 While we may not think of eyeglasses as being trendy in the way that sunglasses are, there are a few undeniably cool styles and shapes right now, and I've rounded up the best of the best trendy glasses to share with you. Cat-eye opticals have the same vintage appeal as the retro sunnies every It girl’s been wearing this year, while colorful frames are an easy way to brighten up even the simplest of outfits. Wire-rim glasses, whether rounded or aviator shape, offer lighter takes on traditionally more masculine styles. There's something for everyone, whether you who wear glasses daily for your vision or are just a trend-setter who wants to try it out. Because guess what? You don't even need a prescription to try these. Just like any other accessory, glasses add a dimension to any outfit that will help you stand out, prescription or not. So why not give it a try? Below, shop 18 stylish pairs of glasses we're coveting right now. Use your glasses as an opportunity to add a pop of color to your look. Plus, these are so affordable. The prettiest shade of blush. These skinny cat-eye frames give off a vintage vibe, and we're here for it. A true cat-eye style, this look will add a touch of poise to any outfit. Try a thicker frame for a more stand out look. These Gucci frames are worth saving up for. Harry Potter, but make it fashion. These transparent frames are so on-trend. 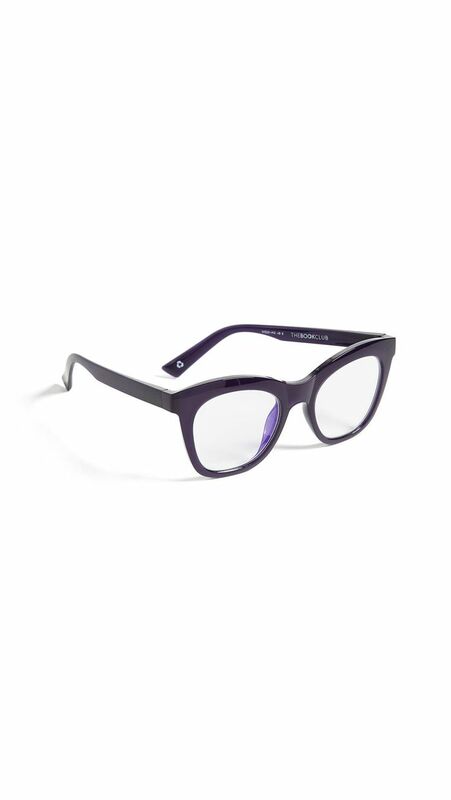 These frames are so versatile that you can dress them up or down by wearing a tee and jeans or a cocktail dress. These tan frames will be your new go-tos. A minimalist option, this color is different than your typical glasses but is guaranteed to add a chic dimension to any look. You can never go wrong with a classic square frame. I own these and receive endless compliments on the unique tortoiseshell. Nothing screams classic Gucci like an oversize pair of square frames. Channel a '70s vibe with these. These are on sale for $10. Yes, you read that right. Although the aviator look is often reserved for sunglasses, it looks really good with a clear frame as well. Try an aviator style to give your look a bit more edge. Take it from Victoria Beckham, one of the chicest women in fashion, and try these aviator frames that are guaranteed to make you stand out. Channel your favorite Fear and Loathing in Las Vegas look with these clear, chunky aviator frames. These budget-friendly frames are perfect for trying out the look. This post was originally published at an earlier date and has since been updated. Up next: four trends that are just not selling anymore.